Awan Auto Electrician deals with batteries and generators. Auto electrician services is also available. 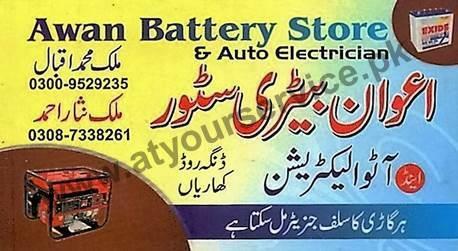 Awan Auto Electrician is located on Dinga Road, Kharian. It deals with batteries and generators. Auto electrician services is also available.